Soccer, Futsal and Community "The Brazilian Touch "
Youth players, boys and girls, ages 6-13 are welcome. June 29-July 3rd and July 13-July 17th . For more information click Summer Camp 2015. Begins December 14 and continues on Sundays through February 22, 2015! Youth players, boys and girls, ages 7-16+ are welcome. 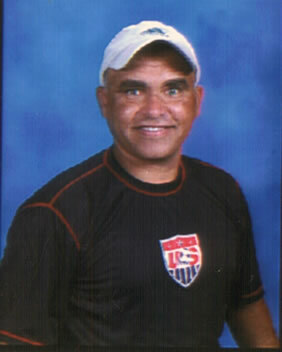 US National Team Futsal Coach Vava Marques leads the program. To register click Stanford-Palo Alto Futsal. Begins Jan 9 and continues through the end of February 2014. Boys and girls teams, ages U8 - U15, are welcome. Games are on Saturdays (with some flexibility for Friday and Sunday) with facilities at Foothill College (Los Altos Hills), Cubberley Gyms (Palo Alto), and Sportshouse (Menlo Park/Redwood City). Futsal program information and registration details are at www.StanfordPaloAltoFutsal.com. 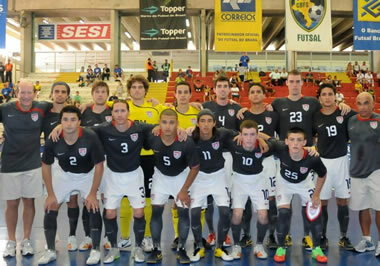 Head Coach Keith Tozer, Coach Vava Marques and the US Futsal National Team at the 2011 Grand Prix of Futsal Tournament in Manaus, Brazil. FC Gold Pride Win 2010Championship! 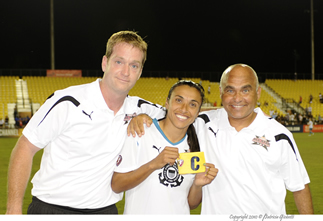 Head Coach Albertin Montoya, Coach Vava Marques and the FC Gold Pride players celebrate the 2010 Women's Professional Soccer championship . 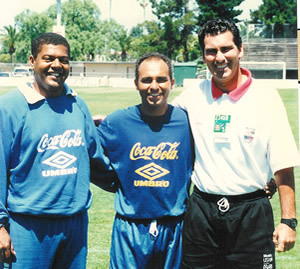 The team trained and hosted games at the Cal State Hayward soccer complex. Team Photo of the 2010 WPS Champions. Vava and assistant coaches lead teams and training at MVLA Soccer Club, Stanford Soccer Club, Palo Alto Soccer Club, Los Altos High School and Foothill Community College.